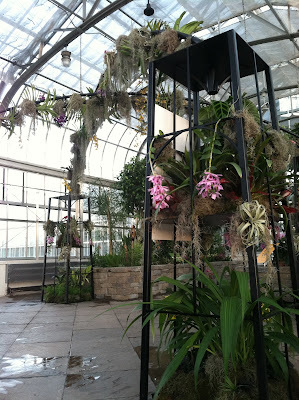 Last Saturday, our orchid exhibition, Orchids Galore! 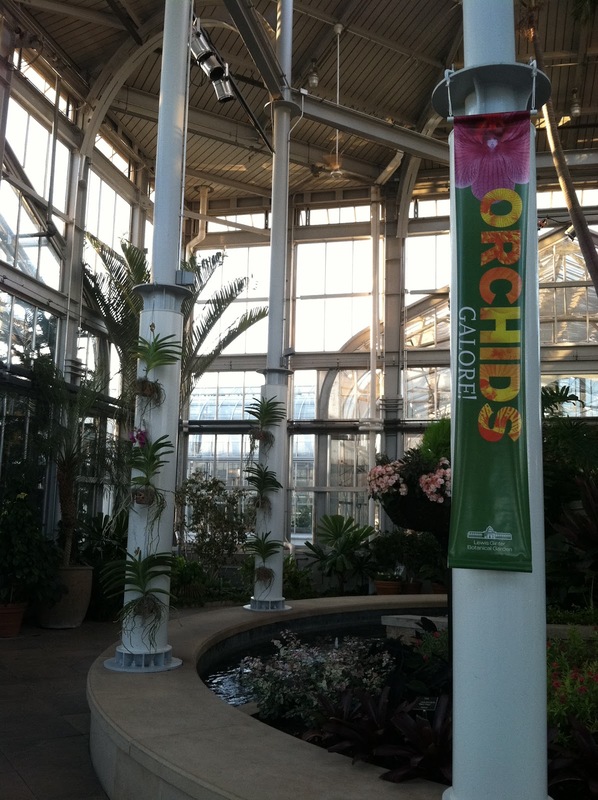 opened at Lewis Ginter Botanical Garden. 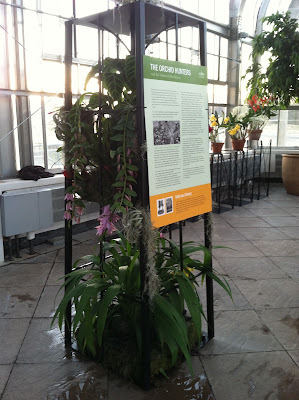 This was my first exhibition at the garden and I'm thrilled at the way it turned out! 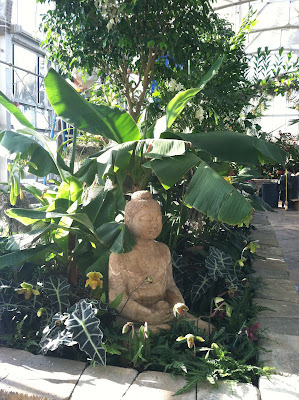 After a few years working on displays with Temple University's Philadelphia International Flower Show display, it was fun to be able to implement what I learned in the past at my new garden. 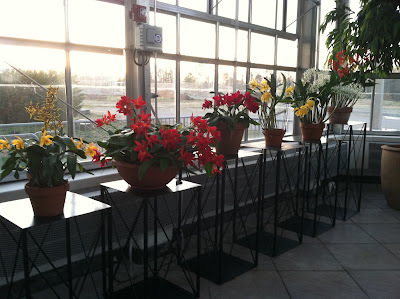 I was responsible for the design layout, building material selection, planting plan, and plant material. 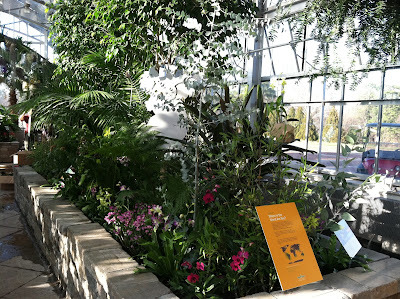 We had a great team working on the display, including members from the Horticulture, Education, PR/Marketing, and Children's Garden staff. The American Orchid Society's display at the 2012 Philadelphia International Flower Show. 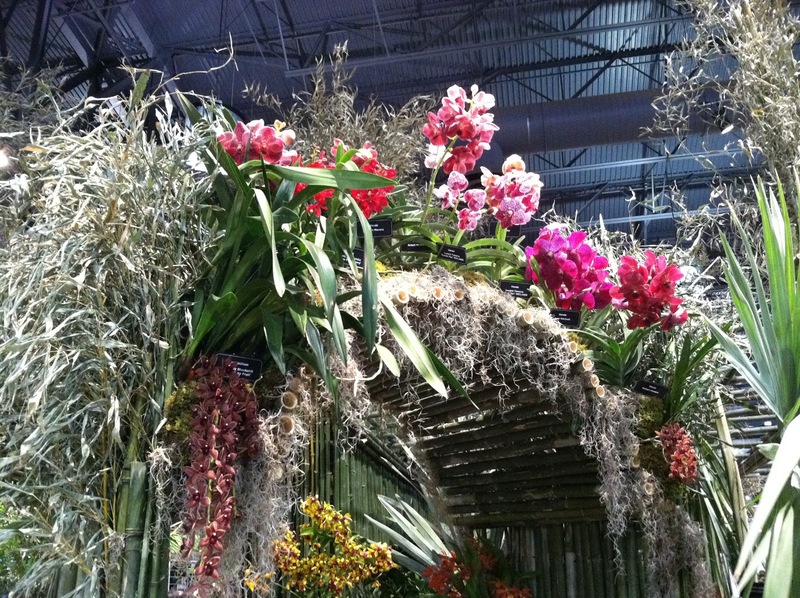 To do some research, I attended the Tropical Plant Industry Exhibition (TPIE) in Ft. Lauderdale. At this trade show, I found a few new plant vendors that proved to be awesome! 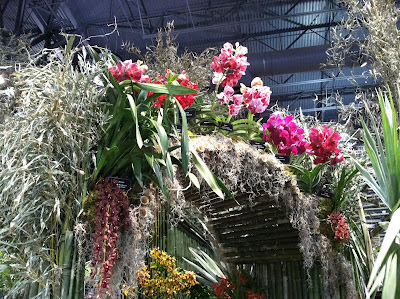 I also visited the Philadelphia International Flower Show, which had the theme of Hawaii! I took so many photos of the great displays that I'm going to make that a separate blog post. I made a trip to Waldor Orchids in New Jersey to pick up some of the specialty species. 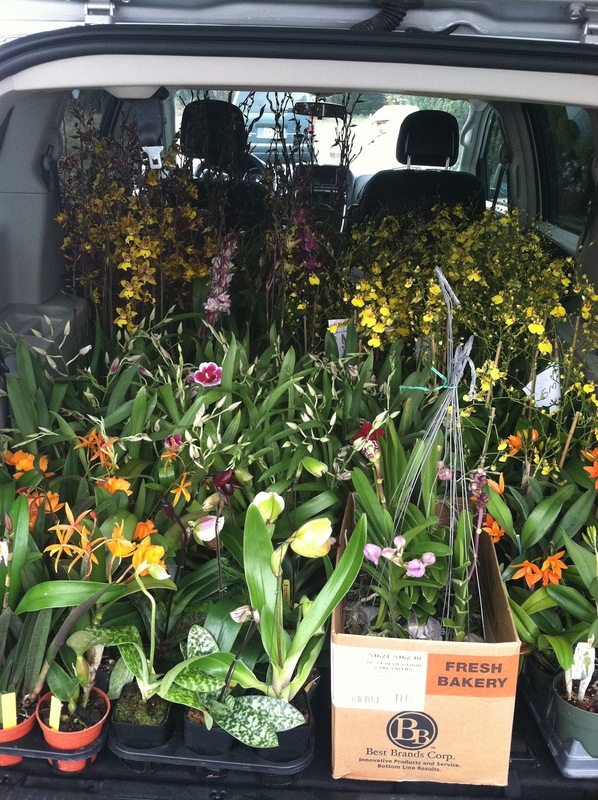 210 orchids packed in a mini-van made for one sweet-smelling ride back to Virginia. We divided the planting beds into different regions of the world, displaying orchids native to each area with other native plants. 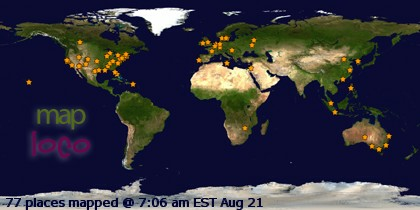 We added little cultural cues to help reinforce the idea of different continents (i.e. a digeridoo for Australia, a statue of Buddha for Asia). Asian bed- Buddha statue surrounded by Paphiopedilum orchids and different types of Alocasias, Colocasias, and bananas. African bed- Vanilla orchids (yes there are species native to Africa), snake plant, pencil cactus, and Plumbago along with carved masks and a walking stick from Senegal. 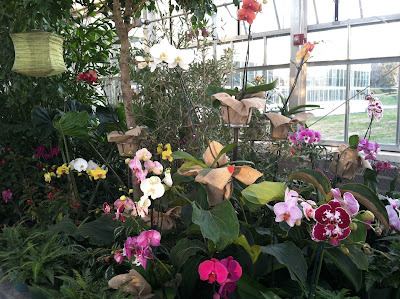 Indonesian bed- lots of Phalaenopsis. 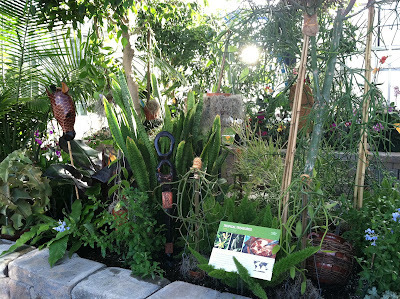 Australian bed- Dendrobiums, Australian tree ferns, and Eucalyptus. 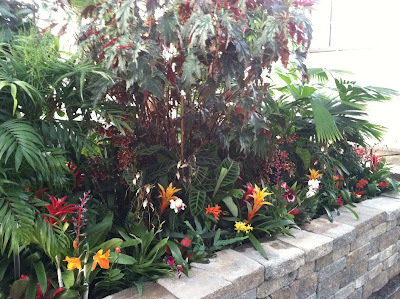 Central and South American bed- Cattleyas accompanied by lots of Bromeliads and other tropicals. A local metal worker made these beautiful columns and arches that we dressed up with Dendrobiums, Vandas, Oncidiums, tropical plants, Tillandsias, and lots of Spanish moss. .
We also used interpretive signage to tell about plant hunters who went on exploration trips to collect orchids, in many cases risking their lives. Our third message focuses on threats to orchids in the wild, such as over-collection and habitat loss. Signage about plant exploration and orchid hunters. It was such fun designing the display and I'm already cooking up ideas for next year's display! Great job, Grace! 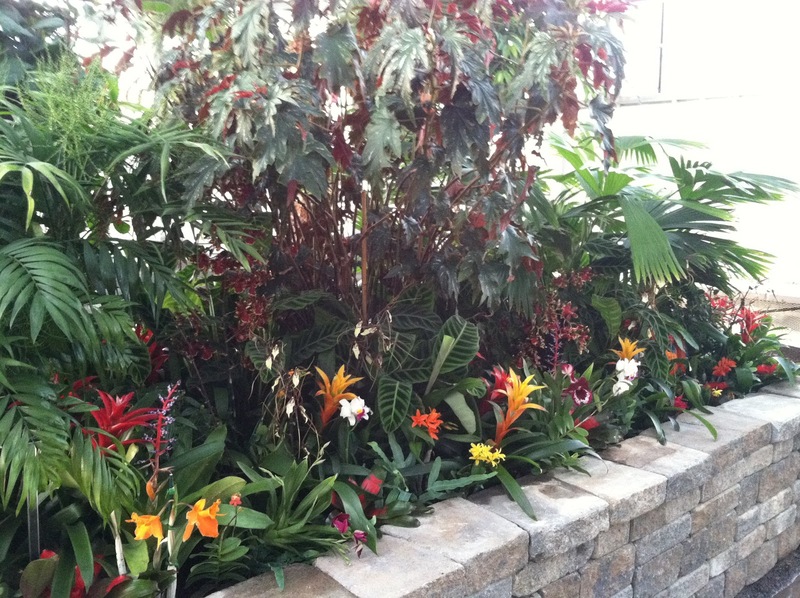 I love how you implemented other tropical plants in with the orchids! I hope you are enjoying your job! I am looking forward to graduating this summer. (I'll be participating in the May graduation ceremony, though). Thanks! The show turned out great and yes, I'm loving working at the garden! !